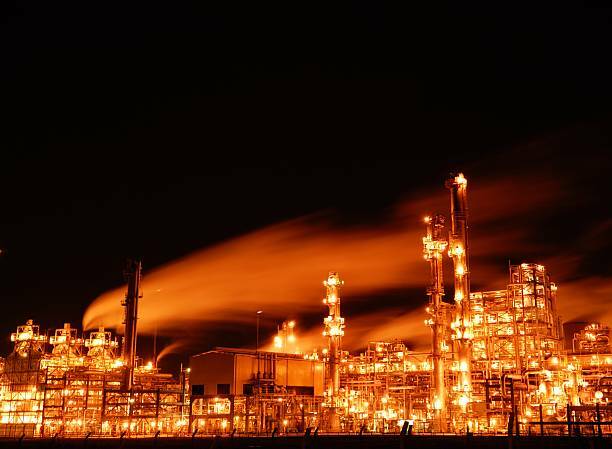 The petrochemical industry transforms hydrocarbons into chemical products. This sector continues to be one of the industry pillars in current society, and the petrochemical industry produces, e.g., synthetic rubber, polyethylene, industrial plastics, tissues, synthetic fibres, detergents, nitrogen fertilisers, etc. All this makes this sector a significant generator of raw materials for other industries or sectors, such as the textile industry, the packaging industry, and the rubber industry. However, the petrochemical industry requires significant safety measures to prevent environmental damage, as its processes are potentially polluting and can have a high environmental impact, which forces us to be cautious and prudent in their development. CALDETEC S.L. has a presence in this sector through the manufacturing of much of the equipment used, namely heat exchangers, pressure vessels, evaporators, decanters, burners, etc. All this equipment requires a high level of quality in welding, as well as precise and sometimes complex metalwork. CALDETEC S.L.’s own means and the technical team of metal workers and welders constitute a great work team with extensive experience and the desire to do excellent work as regards any equipment and/or material to create and/or weld.